I was asked by someone to make Pac Man sugar cookies for their "Rockin' 80's" themed birthday party. 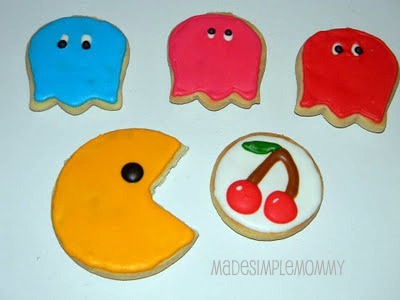 After looking online I didn't really find any great Pac Man cookies. 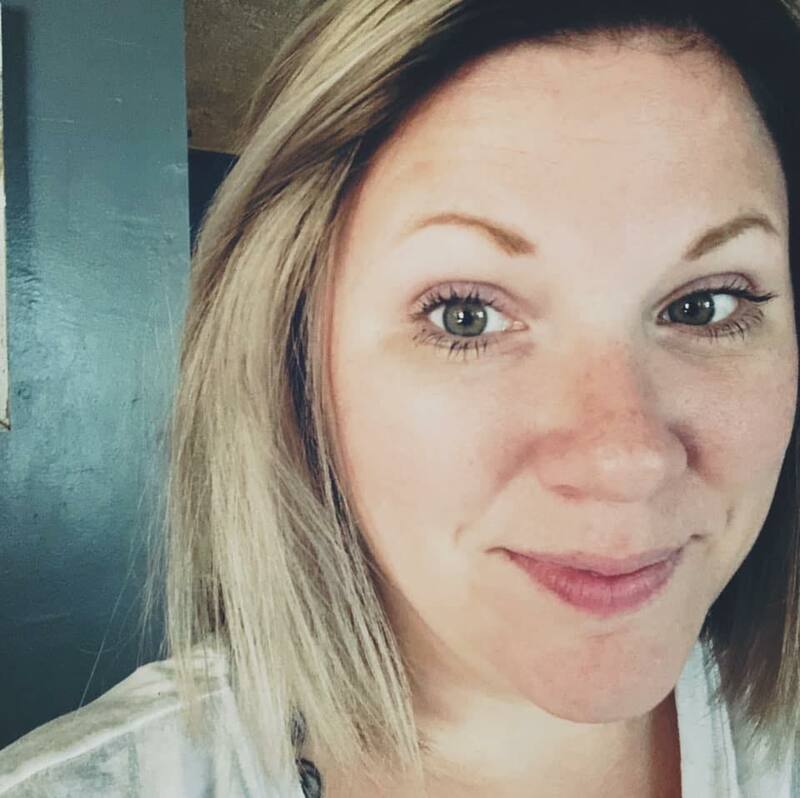 They looked okay, but just not as perfect and simple as the characters seem to be. There are some Pac Man shaped cookie cutters out there for sale, but after digging through my many cutters, I settled on using a tulip shaped cutter for the ghost, and a large circle for the man, obviously. I then used a square cutter to get a very square edge for the mouth opening. I didn't have any cherry shaped cutters, so I used a smaller round cutter and free-handed the cherries on a basic white background. However now looking back at them, I wish I would have done a black background for the cherries like the maze. But oh-well, if I have the opportunity to make them again, I'll keep that in mind! Looking at the ghosts you will see that each one's eyes look in a different direction, which I tried to replicate on the cookies for each corresponding color. I frosted the cookies with Royal Icing, buttercream just wouldn't work out well for these. All-in-all I am proud of how they turned out!